Guess what? I got myself an early birthday gift!!! 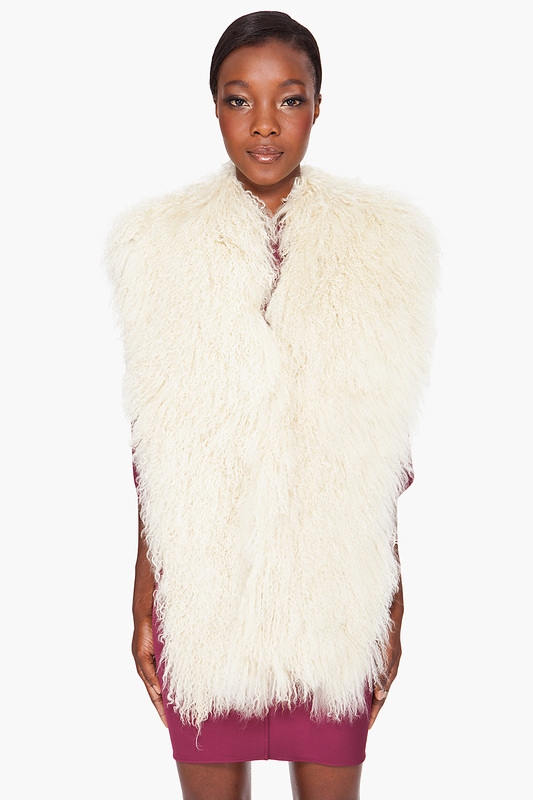 And it's none other than the Maison Martin Margiela's mongolian fur vest in snow white! I've been eyeing on this piece since the beginning of the season but keep telling myself that I already own a D&G shearling cream hooded vest that serves pretty much the same purpose...but now at 70% off on SSense.com...a girl can always use an extra piece of fur! Can't wait till it arrives! A girl can NEVER have too many fabulous fur (or faux) pieces! Can't wait to see your rocking this item! Happy early BD too!